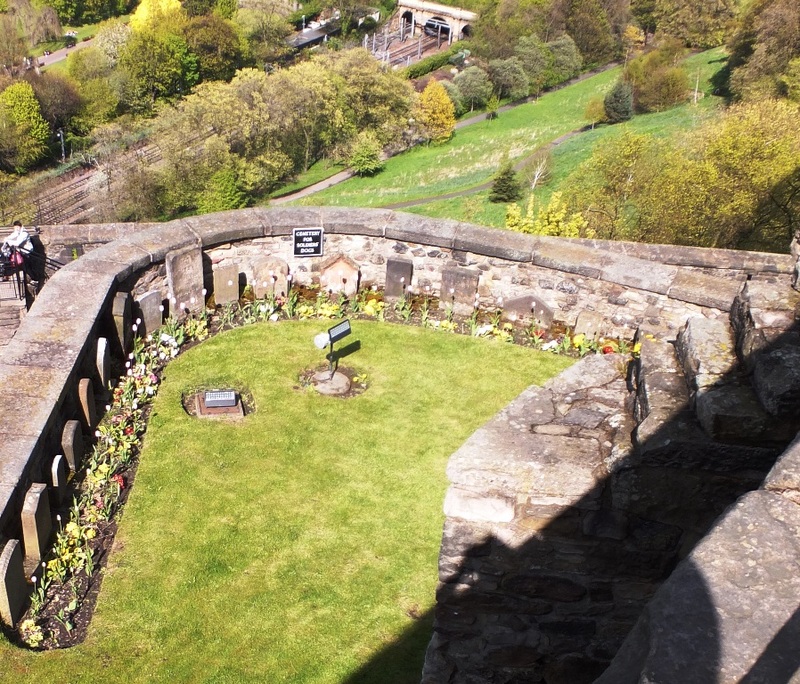 This tiny cemetery is in a small garden within Edinburgh Castle, plotted upon the remains of a medieval tower. It was founded during the reign of Queen Victoria (1837-1901). The burial ground is the final resting place of exceptional dogs that were either the mascot of various Scottish regiments or remarkable pets of officers stationed within Edinburgh Castle. It is one of only two regimental canine cemeteries in Scotland. The headstones are badly weathered rendering much of what was originally carved upon them unreadable. However, there are 12 markers with some legible information about these exceptional dogs.